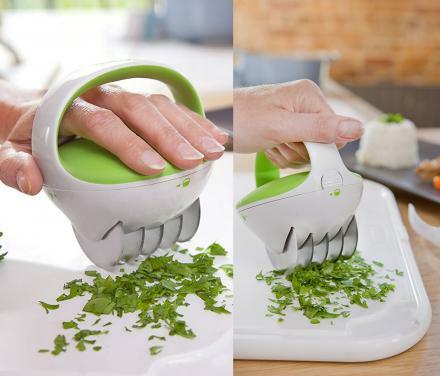 As if there weren't already enough crumbs, dandruff, and nose hairs already inbetween the keys of your keyboard, now lets just serve some food on top of it. 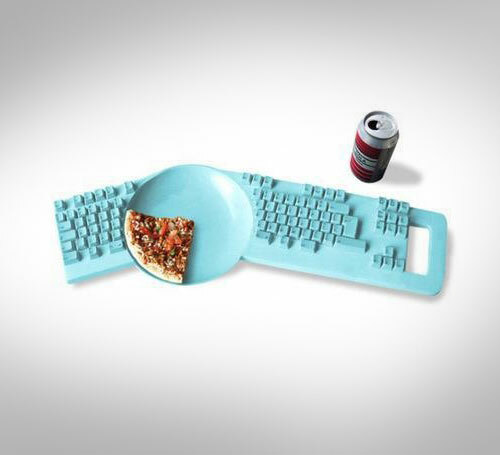 The Keyboard plate is a concept by designer Hella Jongerius, that is half computer keyboard, half dinner plate, so you can munch pizza while at your computer with as little hand movements as possible. 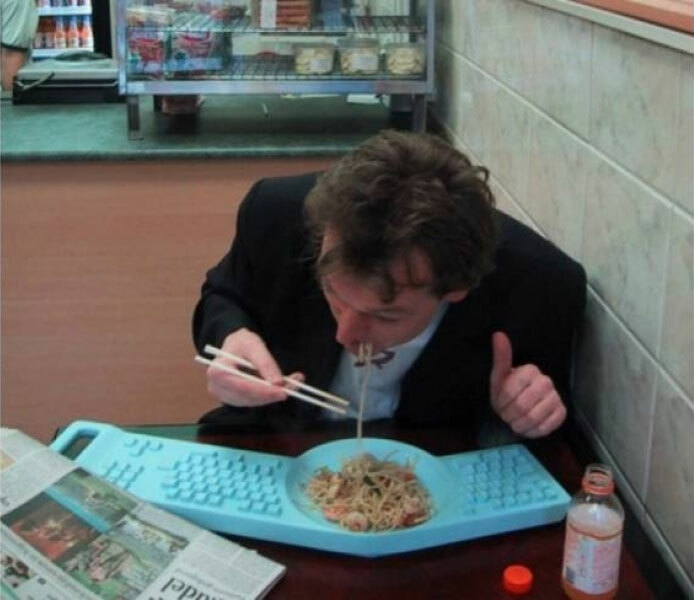 No word on availability of the keyboard plate yet as it is just a concept, but if you are feeling frisky, go start a kickstarter so that I can consume food easier some day.